Having this unique and decorative Wood Basket will help your fire look reminiscent of days gone by. This 19 in. natural gas wood basket by Hargrove comes with remote ready Rotary controls and burns approximately 20,000 BTUs per hour. 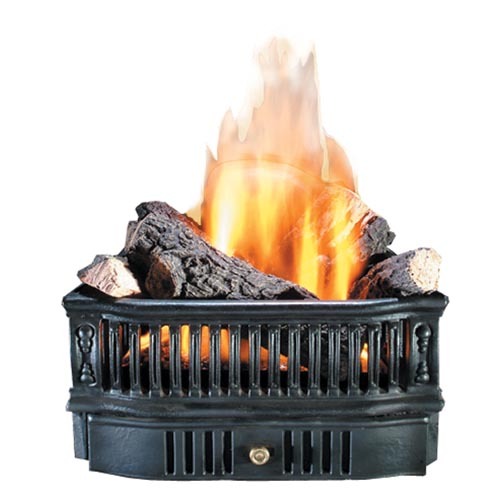 This decorative black cast iron basket features ornate wood motifs, and comes standard with 5 refractory logs. This basket can be used with natural gas or propane gas.